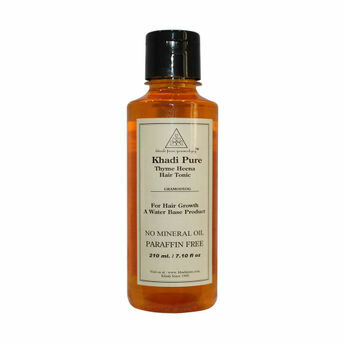 Khadi Pure Gramodyog Herbal Henna Thyme Hair Tonic when applied regularly, this unisex hair tonic from Khadi will help in preventing premature greying and will condition your scalp and hair. This deep conditioning will keep away dandruff and help in getting rid of all the irritations caused by dry scalp. It can also treat damaged hair to bring back its natural luster and soft texture.